The Islamic Human Rights Commission (IHRC) is deeply concerned over the continued detention of Dr Masaud Jahromi, Chairman of the engineering department at Ahlia University in Bahrain, who was arrested a week ago without an explanation. IHRC urges all campaigners to write letters to the foreign secretary of their countries, and to the universities and university societies where Dr Jahromi had gained his qualifications. Urge them to put pressure on the Bahraini judicial authorities to reveal the whereabouts of Dr Jahromi, and ensure that he is released immediately. Seven days have passed since Dr Masaud Jahromi, Chairman of the engineering department at Ahlia University in Bahrain, was arrested. 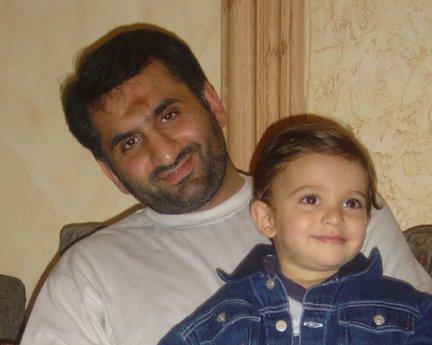 He was taken from his bed by Bahraini Security Forces on 14th April 2011 at 2:30AM. Dr Jahromi is a very well respected and widely appreciated academic in Bahraini society. He is a man who has dedicated his life to learning and teaching. He gained his Masters in the UK at the University of Manchester, and later earned his doctorate from the University of Kent in Canterbury. His family, students and colleagues are very concerned about his wellbeing, having been kept in the dark about why he was imprisoned and where he is being held. The Facebook page they have dedicated to him features many positive statements describing his character. He has not contacted anyone regarding where he is being detained, and he does not have access to lawyers. IHRC urges all campaigners to write letters to the foreign secretaries of their countries, and the British universities where Dr Jahromi is an alumnus, urging them to pressure the Bahraini judicial authorities to reveal the whereabouts of the scholar. Ensure that he is released immediately. c) encourage students to campaign for Dr Jahromi by putting in a link to the IHRC website page. I am writing to convey my deep concern over the disappearance of Dr Masaud Jahromi, Chairman of the engineering department at Ahlia University in Bahrain, who was arrested on 14th April 2011. The reason for his arrest remains unknown, and nobody knows the whereabouts of the scholar. He has not contacted anyone to inform them where he is being detained, and has had no legal representation. I urge you to use your relations with the Bahraini government to investigate the abduction of Dr Jahromi, and ensure that he is released immediately and treated fairly by the judicial authorities. Dr Jahromi is a former student of the University of Kent, UK, where he completed his PhD thesis on “ATM-based independent service” in the Electronic Engineering department. He had also previously earned his Masters in Control and Information Technology from the University of Manchester, UK. Dr Jahromi is a very well respected and widely appreciated academic in Bahraini society. He is a man who has dedicated his life learning and teaching. As Dr Jahromi is an alumnus of your institutions, I am urging you to write to the Bahraini judicial authorities, about the abduction of Dr Jahromi, and ensure that he is released immediately and treated fairly. I would like you to put this information and the link of the alert on Dr. Jahromi on your website so that your interest in his future and his well being is clearly indicated. I would also like you to put up this information and the link of the alert on Dr. Jahromi on your website so that your interest in his well being is clearly demonstrated. I would also like you to write to the NUS raising this issue and something that students should campaign for the right of all Bahrainis to enjoy basic human rights. I would like you to put up the link to the IHRC campaigns page for Dr Jahromi on your website.